You must make reservations at least 5 minutes in advance of the time at Ciao Ristorante and Bar. Soft live music on & Paint night on select nights. Ciao! offers full on-site or drop off catering services for lunch and dinner. Our staff will be happy to assist you with any private party plans. 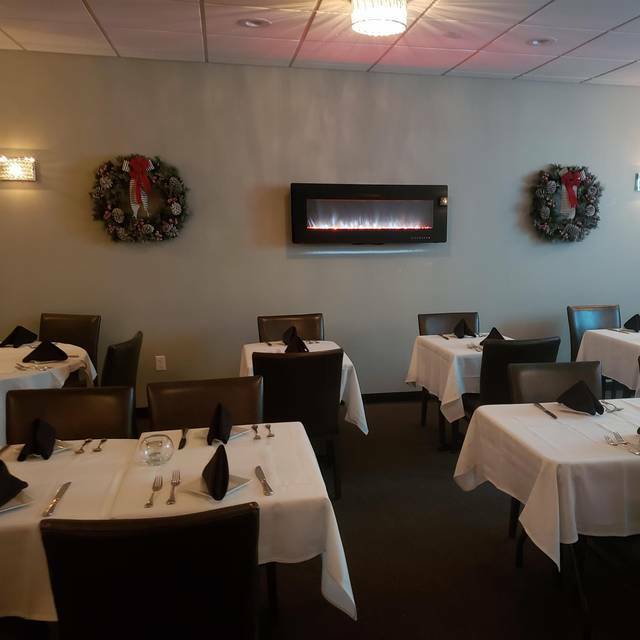 Our elegant banquet room is perfect for groups of all sizes and occasions. We offer a variety of food, beverage, and planning options for your gathering. To simplify service, Ciao’s event team has created a variety of food and beverage packages to accommodate all your needs. Whether you are looking to host a business meeting or throw a baby shower, we got it covered. Want to make your occasion extra special? Ciao has added additional services to enhance our customer experience and set us apart from the crowd. Ask about our planning packages and have our team fully coordinate your event with everything from invitations to decorations! Cited best new restaurant in Connecticut by Rupert Pupkin of the New York Times!! Ciao! Ristorante & Bar invites you to come and experience our contemporary take on your favorite traditional Italian dishes. Enjoy our fresh, home-style cooking, handcrafted cocktails, and relaxing yet elegant atmosphere. Offering the perfect setting for any occasion or celebration! Ciao presents our diners with a spacious bar that is stocked with a fine selection of wine and cocktails, nightly specials, soft live music on select weekends, outdoor dining, catering and a private banquet room for any type of gathering. Pleasantly surprised by the quality of the food and decor. Service very pleasant and helpful. Just two things that would have made it perfect. One, have specials written down. Ours was a large party and so specials needed to be repeated. Second, check on water glass refills. Thanks for the warm welcome.